On the hunt for an inexpensive MINI Cooper Hardtop 2-Door or a cheap MINI Countryman around San Diego or Carlsbad? Look no further than the 0 vehicles that qualify for our special discounts. No matter which MINI vehicle you choose, you’ll be getting a compact chassis ideal for San Marcos city driving, active safety features, and MINI Connected. So, in buying a used MINI, you’re not just getting a hatchback – you’re getting a high-tech workhorse. Explore our used vehicle specials below. Or, if you want to sweeten the bargain, check out our vehicles under 15k! Calculate your payments online, and then contact us today. We appreciate your interest in our inventory, and apologize we do not have model details displaying on the website at this time. Please fill the form out below and our team will quickly respond, or, please call us at 760-520-3000 for more information. 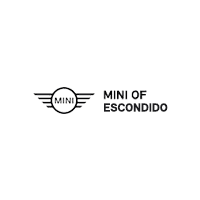 Why Choose MINI of Escondido? There are plenty of reasons why drivers from San Marcos to Poway choose MINI of Escondido. Sure, we have an extensive used vehicle inventory. But we also stay up-to-date on the latest MINI news – such as who owns MINI, and which tires are optimal for your MINI. Ready to step inside your next used vehicle? Visit our dealership in the Escondido Auto Park today!